Solzhenitsyn, Russell Kirk, and the Moral Imagination, by Edward E. Ericson, Jr. In the summer of 2003, I had to vacate my college office. With limited file-cabinet space at home, I had to lighten my files drastically. Reading and skimming my way along, I relived many episodes, including ones that I had quite forgotten. Also, I came upon old essays and reviews by various hands. One said in part, “Aleksandr Solzhenitsyn primarily is a man of moral imagination.” The author was none other than Russell Amos Kirk, and the citation came from his review of my 1980 book Solzhenitsyn: The Moral Vision. As I reread that review, I was happily put in mind once again of the important influence that Russell Kirk had exerted upon me. To be sure, influence does not yield xerox-copy duplication. Kirk’s Gothic imagination, with its ghosts and gargoyles, has no deep hold on my affections. Nor has this Chicago native fallen under the sway of what I shall call his rural romanticism. But I did at that moment begin trying to articulate for myself the nature of my indebtedness to Kirk. Clearly Kirk’s influence on me is best understood as that deep sort of influence that I lose track of consciously as my own mental activities continue apace. Gradually, I came to think of certain ideas learned from him as my own intellectual property. Even when my gestalt of these ideas resembles his, they get fitted together with other ideas of mine so that they are no longer his. As a simple example, when I say “tradition,” the word does not have all the associations for me as a Protestant that it does for Kirk, a Catholic. I have of course, as a reading person, picked up strands of thought from many sources and worked them into the tapestry of my world view. What separates Kirk from other sources is that the ideas I gleaned from him are part of the foundation of my intellectual life. They are part of the filter through which ideas from other sources must pass before I integrate those ideas into my personal point of view. Imagine my intellectual life as a long train-ride. What I am not thinking about is the material comprising the tracks on which the train is riding. The tracks are just there, and taken for granted. If we think of the tracks as an alloy of multiple materials, then in my case some of the tracks’ strongest materials are Kirk’s ideas. Thus he is an essential part of my intellectual journey even when I am not aware of it—and perhaps especially then. I was riding on those tracks when Solzhenitsyn first came into my view. These references demonstrate that Kirk, too, however seminal his thinking has been for many of us, absorbed influences from predecessors, as he readily acknowledged, and we also observe how he fit new material—here Solzhenitsyn—in with old—here Eliot and Dante. That is, in fact, exactly how Eliot himself explains that tradition and the individual talent fuse, as a new writer draws upon predecessors and then by his contribution enlarges and enriches the tradition by becoming part of it. But what is more striking to me, as the author of the book that Kirk was reviewing, is that rereading this review made even clearer than before how Kirk’s influence prepared me for Solzhenitsyn. I have written little about Kirk, who has many expositors who get him right, and much about Solzhenitsyn, who has many expositors who get him wrong. While engaged in the housekeeping chore of file-thinning, I realized that I would never have started writing about Solzhenitsyn if I had not first read my Kirk. I have not often used the formulation “moral imagination,” but my first book on Solzhenitsyn was subtitled The Moral Vision, and in my second book on him the second, and perhaps best, chapter is entitled “The Moral Universe.” One would not need to have read Kirk to see that Solzhenitsyn is a moral writer. But I had read Kirk, and he helped shape the mind that I brought to the reading, and then to the cherishing, of Solzhenitsyn. Indeed, I would say that in Solzhenitsyn I found literary renditions of the abiding, perennial values that Kirk had articulated for me. The subject about which knowing my Kirk best prepared me to appreciate Solzhenitsyn was the subject of ideology. I recall an argument that raged among conservatives at one long-ago time about whether conservatism was an ideology or not. Kirk said not. As I followed the argument among my betters, with each side populated by writers whose ideas had helped me, I concluded that Kirk was right. Although time has dimmed my memory of the details of the argument because I came to a settled conviction on the matter, I agree with him that conservatism, far from being an ideology, is a negation of ideology. Then I came to Solzhenitsyn, and one confirmation of our consanguinity was his rejection of ideology—not just Marxist ideology but ideology per se. Both Kirk and Solzhenitsyn saw ideology as rooted in utopian thinking and avoided that loose usage common today that employs the term ideology to refer to any well-developed perspective, or world view. Kirk also cites a passage from Solzhenitsyn’s most overtly religious statement, the address given on the 1983 occasion of his receiving the Templeton Prize for Progress in Religion, an award set up to fill a gap in the roster of Nobel prizes. Predictably, this speech has received little notice from critics, and I quote in full the passage that Kirk cited. Kirk describes this passage as “express-[ing] with high feeling the essence of the conservative impulse.” What does that mean? The passage is, of course, not in the least political, and Kirk is too wise to be claiming the Russian author for a political position within the American context. On the contrary, Kirk is recognizing the congruity between Solzhenitsyn and him at the deepest levels of their thinking. For both of them, meaning in human life lies ultimately in the transcendent realm, and only by reference to this transcendent source of meaning can the nature of human beings and human society be properly understood. In this passage Solzhenitsyn is also asserting his faith in Providence. And it belies the ludicrous suggestion that he is a Deist. The God in whom Solzhenitsyn believes is not remote and removed from human affairs but is personally active in human history and in individual lives. This is what Kirk sees as lying at the heart of the conservative impulse. Of all Kirk’s formulations that put me in mind of Solzhenitsyn, my favorite one comes from before Kirk was aware of Solzhenitsyn. 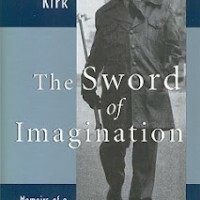 In the opening pages of The Conservative Mind (1953), Kirk asserts, “Conservatives believe that a divine intent rules society as well as conscience, forging an eternal chain of right and duty which links great and obscure, living and dead.” Later in that seminal book, when enumerating the chief problems facing conservatives, Kirk mentions as the first one “the problem of spiritual and moral regeneration: the restoration of the ethical system and the religious sanction upon which any life worth living is founded.” And he remarks, in words that I cherish, “This is conservatism at its highest.” Not only would Solzhenitsyn resonate with these terms; the very words he chooses are often very close to Kirk’s diction, though apparently without ever reading Kirk. Clearly, reading Kirk prepared me to appreciate Solzhenitsyn. For Kirk’s definition of the abstract term “the moral imagination,” we turn to his book on T. S. Eliot, Eliot and His Age (1971). There, after noting that the phrase is originally Edmund Burke’s, Kirk explains, “By it, Burke meant that power of ethical perception which strides beyond the barriers of private experience and events of the moment.” Our age places a premium on the autonomous Self and the subjective insights that emerge from raw, indiscriminate experience; our age also devalues tradition and favors presentism, or present-mindedness. And when Kirk remarks that “[t]he moral imagination aspires to the apprehending of right order in the soul,” our leading lights would reply that there is no such thing as soul and those who think there is should keep their religious gibberish to themselves as a private matter. Why, one may ask, does not Kirk just say right out that the moral imagination has “its roots in religious insights” and claim that, by possessing this vaunted faculty, “the civilized being is distinguished from the savage by his possession of the moral imagination”? Those things are exactly what he says, verbatim. 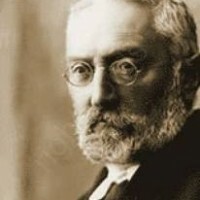 Half a century has elapsed since the death of Don Miguel de Unamuno and still his works are much read and written about. Three volumes of his stories and novellas have been reissued recently in English translation–able translation, by the way. Hundreds of best-selling novelists have risen, and vanished forever from bookshops, during those five decades. Yet Unamuno is everywhere cited and quoted; all of his more important fiction, criticism, and commentary is available in English and other languages; and his fiction’s originality has been admired by successive generations of readers and critics.